AirDroid 3 -- what do we do with this thing?! With your original version of Airdroid I was easily able to just use it -- it was self-evident. And I really liked it. It was the only way I found to easily transfer the photo files from my Android phone to my home PC. That was last year.Now, I tried to use it again. 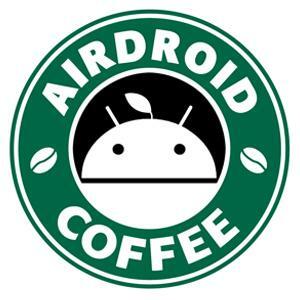 It automatically updated to your new version (Airdroid 3), and I am stopped cold. The Android-app shows a bunch of icons, where before it did not. What do I choose? I clicked on "Files", and I see a panel showing all my photos, but not a clue what to do with them. It seems to be nothing but a static display. Trying to launch Airdroid on my PC -- now apparently you've gone to a desktop-app instead of a web-based one. Ok, fine. But it's unusable to me! All I am seeing is a square window, with "Drag & Drop files here to transfer" in the center, and a grayed-out toolbar along the left, which seems to be useless. "Drag & Drop files here to transfer" ? To transfer where? Since I am wanting to transfer FROM my phone, TO this PC -- how does this help me? You had a very nice application last year. What the heck happened? !! Re: AirDroid 3 -- what do we do with this thing?! Sorry for the late reply. AirDroid Web still exist and you can use it like you do before.